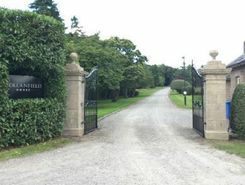 The property is situated in the grounds of Gollanfield House. Gollanfield House is 8 minutes East of Inverness in a car and lies just a few hundred yards off the main A96. It is an ideal location for someone who likes peace and quiet yet is only 7 minutes away from 24 hour Tescos and Inverness.